On wednesday the dan promotion reward game between Dragos Boldeanu 1d(b) and Catalin Taranu 5p was played. 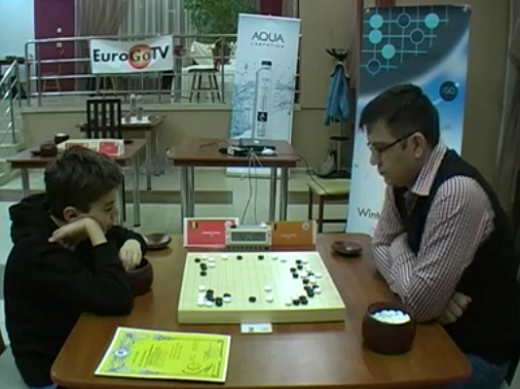 At the end Catalin won by 10.5, but he was pretty suprised by the strong play of young Dragos (who won the SEGO under 12 event earlyer this week). Because of the playing tempo (30 min each) there is not yet a complete sgf of this game. Maybe you can create one by replaying the video?